and we'll make your blog beautiful and elegant. Hi,I hope you're having a good time. 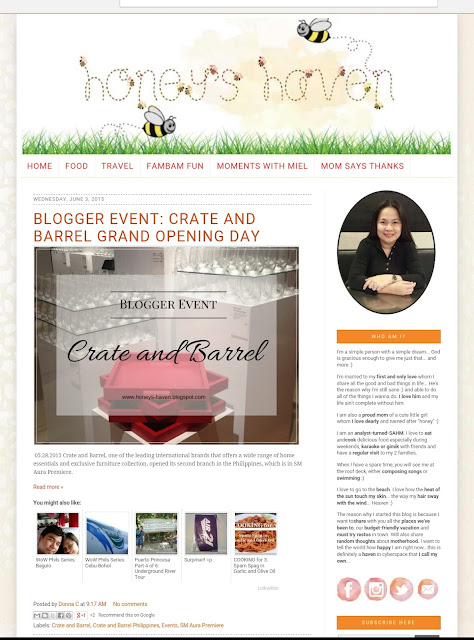 I recently got done with blog design for Donna of Honeys-haven and I really enjoyed working on her blog.She wanted me to maintain the 'honey bee' theme,and I incorporated all the elements to make her blog look the way she wanted it. :) My favorite feature of her blog is the dotted date header. :) Here is a screenshot of her website.You can visit her website here.If you want a blog/web design,you can send me a mail here.